A few months ago I read a blog written by Ric Shewell titled: “Why I Left the Church of the Nazarene.” He was obviously disappointed in his experience with the processes of the Church of the Nazarene (CotN) and I sympathized with him. I thought to myself: I’ve been there and I know how he feels. Certain sentiments resurfaced while reading his blog, and I haven’t been able to escape the urge to write from another perspective… so here goes. In March 2001 I sat in my office with my face in my hands. I found myself in the center of a very uncomfortable situation. It involved family, friends, and a place that I had called home most of my life. A few years earlier I had been brought on staff at a certain church and ‘groomed’ to be the successor of the pastor when he retired. I was told that permission had been granted from the District and the Church Board to move forward with this process. This church was a very special place to me; I actually grew up on the property. When I was a kid my mom worked as the custodian so that our family could live in a little four room house owned by the church. This place was home. My brother and I grew up playing hide-n-seek, crawling under the pews, and climbing the bell tower. I was saved, married, called to preach, sanctified, and dedicated my children in this church. This seemed like the perfect story: the local kid who fell away from the faith comes home, answers the call to preach, is mentored by the pastor, accepted by the congregation, and then becomes the pastor. For several years I had given every ounce of my energy to this church. Yet, on this day, I received news that certain personalities were adamant that I not become the next pastor. Although it hurt, I immediately felt released and decided I would not be the cause of division. After sending my résumé out in search of a new position, three months passed and I heard nothing from any Nazarene District. Because my college was interdenominational I also had contacts with the Wesleyans, Quakers, and Methodists. I really felt led to stay with the Nazarenes. However, I was literally getting no calls from them while receiving many calls from the other groups. My instinct told me that I had a black-eye because of the scenario that had unfolded at the current assignment. The Wesleyans and Quakers showed a lot of interest and after a period of waiting I felt God releasing me to go with another group. I was placed on ‘special assignment’ and remained in the ordination process with the Nazarenes. The other group received me with open arms and over the next few years I was offered several opportunities to switch my ordination track. However, I never felt like God released me to move my membership from the Church of the Nazarene. Two years passed and I received a call from one of my college professors, who was also an ordained elder in the CotN. He presented me with the opportunity to plant/restart a church that was about to close. My present church had grown tremendously in weekly attendance, and here I was contemplating leaving to go back and start something new with just a handful of people. After a season of prayer, I said ‘yes’ to this endeavor. Finally, I felt like I was home in the CotN, but the story doesn’t end there. We held the first service and had eighty people in attendance. However, the remnant group of ten on the verge of closure voted not to continue with the new start following the service. They felt like all the new people would ‘take over’ the ministries they had been part of for many years and push them out. All the work we had put into doing something new was hindered. So, we went back to the drawing board. That particular church ended up closing less than a year later. Arrangements were made for us to use a little broken-down building that stood on the grounds of John Wesley Camp in High Point, NC. The building pictured above really is a good representation of the building that we used in the early days. 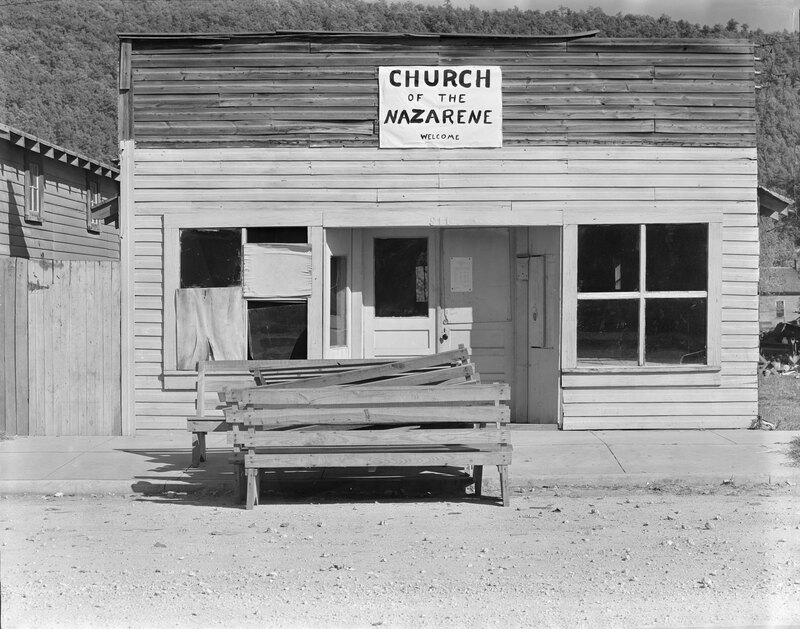 Within two years the church grew to over 100 and was reaching the community in a number of ways. We tried to transition to the church building we had originally planned to use since it had closed, but was told that the district needed to sell the property. On top of that, when it was time for my ordination, some leaders on the district opposed. At this point I felt like I couldn’t win. No matter how hard I worked to do positive things on the district, politics, personalities, and perception seemed to drive the decisions related to the church plant and my ordination. After a session with the Credentials Board that brought me to tears I thought I might as well give up. However, they had no real reason to keep me from ordination, I had finished the course of study, held a district license for five years, and served for nearly seven. After much debate I was ordained. The irony is that I was happy about being ordained, yet discouraged about my relationships on the district. In my disappointment I quietly began to search for a new ministry assignment. Once again, I received numerous calls from other denominations. This time I also received calls from other Nazarene Districts. I called my DS and asked him if we could have a sit-down conversation. He agreed, we met, I expressed my frustration, he sympathized, and then reluctantly agreed to allow my name to be presented at a particular church along with thirteen other résumés. This church at one time was one of the stronger churches on the district. Yet, had undergone a time of division and lost around 150 people. It was a church that was fragmented, frustrated, and needed renewal (much like me). Within a month of my résumé being presented I received a call to go for an interview. To make a long story short, I ended up taking the church, experienced some of the best years of my life, and stayed for almost eight years. While pastoring there the church experienced its largest attendance and offering records since its beginning. 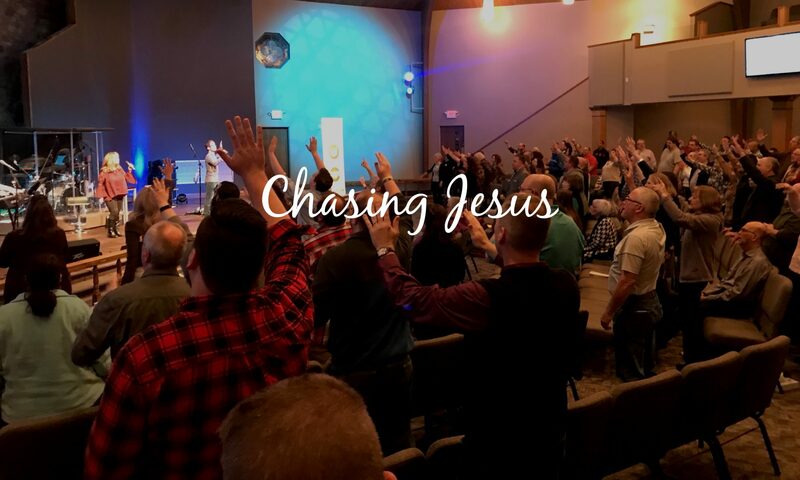 The rest is history… from there we moved to Illinois where we led an amazingly missional congregation, and now on to lead the Kentucky District. The Call – I could never escape the “call” to remain committed. I’m not saying it’s wrong to leave. However, I am saying that staying the course makes a difference. That means through hardship, frustration, attack, persecution, and processing negativity, if we believe God has called us to a certain place we must believe God will make a way for us to stay. Investing in Others – Over the years I’ve been able to sympathize with so many men and women in the ordination process. I’ve encouraged numerous candidates along the way. I’ve laid my hands on the shoulders and offered prayers of consecration over several men and women as they’ve completed the ordination journey. Changing the Process – Instead of walking away, I desired to be part of the solution. At this point I’ve sat on Boards of Ministerial Credentials and Ministerial Studies on three districts. I always remember sitting on the other side of the table. I believe God allowed me to go through the hard times so that I would be equipped to help others through the same challenges. In closing, I can sincerely say, I’m glad I stayed. I love my church. I am deeply committed to the mission of the Church of the Nazarene. I believe that staying the course through times of frustration and disappointment made me stronger and more prepared for ministry. I’ve always said anything worth doing is difficult. Jesus never said it would be easy, but he did say it would be worth it. My encouragement to the reader is simply this: remain committed to the call God has placed in your heart, invest in others along the way, and be a voice that helps bring change when systems are broken. Now, let’s get busy making Christ-like disciples in the nations! Beautifully written. I have personally benefited from your staying the course. Thank you for investing in me, praying the prayer of consecration over me and working to change the process. You’re a dynamic leader and you’ve impacted my life for the positive and I am eternally grateful. Beautifully written. I have personally benefited from your staying the course. Thank you for investing in me, praying the prayer of consecration over me and working to change a chaotic process. You’re a dynamic leader and I have been positively impacted by you and I am eternally grateful. Why I stayed at Covenant Life Church and became a Nazarene. because the pastor took the time to take my to breakfast and showed the kind of LOVE that I never saw in other Churches. Now I am involved in a coarse of study and am looking forward to becoming an ordained elder in the COTN. Thanks Bryan. Love You Man. I identify with both situations. I left a church in Kentucky 2 years ago to avoid a divisive and polarizing issue with a group (small as it was) that held the power in the church. Having pastored there 9+ years I thought that we had overcome what had been the pattern of the church for so many years but I was mistaken. I ended in resigning and moving to Oklahoma confident that it would not take too long to land somewhere. Two years later I remain without a church despite multiple resumes being sent to over a dozen DS’s. Though I serve on staff part time, after 30 years of pastoring churches as a senior pastor I feel out of place and without a place. Now in my late 50’s I feel there is no place for a pastor who has maintained a solid track record, doing everything the church has asked and expected. I’ve not been in any trouble and have led churches from 85 to 215 which have always been left in better shape than when I came. I say all that to make a case that following the system’s expectations often fails the people who have been committed to support it. I’m not bitter but disappointed. I feel like I’ve healed from a unfortunate breakup at my last assignment. With 7-8 years to retirement I would simply like a chance to invest in a place that I might share my missional passion. I appreciate the spirit of your article. Blessings! Brian, I appreciated reading your story as I did Rick’s. I’ve often thought that the pastors who have never considered leaving the denomination must be directly related to a G.S. All the folks I’ve known who weren’t have sat with their face in their hands on at least one occasion. Knowing Rick better than I do you, I wanted to point out one difference in your experience which you identify, but which you don’t connect to the “end of the story.” You had “roots,” Rick didn’t. As I’ve reread his story it turns out that it was this factor, not his unfortunate experience with the Credentials Board, which “opened the door” for his exit from the CotN. I absolutely agree that there’s value in “sticking with it.” It turns out that, sometimes, there’s just no “it” to stick with. Thank you Brian for your words of encouragement because they could not come at a better time than this. I am a young pastor on the path towards ordination and feeling discouragement at my current church. It is coming mainly from the senior pastor who may be feeling threatened by my excitement for new ideas to help move the church forward and my eagerness to see change happen quicker than maybe they would like. I have been presented the opportunity to become a senior pastor at a church that is another denomination, but I have been in the Church of the Nazarene all my life and my namesake started a Nazarene church many decades ago, so I cannot give up on this church. The holiness message is too important to me to just move onto another church that will take me even if they are not Nazarene. Again thank you for your post and the encouragement that this is just a season of life. Blessings to you! Thanks, Brian. I can TOTALLY relate! I really want to just be sarcastic about your post. I will just say this. There is tons wrong with the CotN. What gets me is I have grown up in the denomination I have two degrees from Nazarene universities I’m ordained I have been a minister for 16 years now and I paid the 75 dollar fee to have DSs see my name on their horribly done site. I have received no calls. Not one. I have to pester a DS just to get an answer from them. My wife’s family is southern baptist. The pastors in that church have gone out of there way to find me jobs. Even the UMC is trying to find me a spot, but the denomination I know very well and could help doesn’t want anything todo with me. We’ve allowed the big business mentality to leak into the system of sending and “highering” pastors. It’s horrible unbiblical. I was one of those pastors who decided to leave. I was a Nazarene pastor for ten years. All I was ever offered was churches that no one else wanted. Here are a few issues that propelled me out of the denomination. 1. I pastored two very troubled churches that had tons of problems. My DS’s lied to me about both churches. They misrepresented the churches in every way possible. And after I was placed in those churches, I got no support from either superintendent, or district. And I never was considered for another church. 2. When it was time for my kids to go to college, they were denied a matching scholarship to Mid America because their Dad’s church didn’t pay their education budget in full the previous year. I chose to go to two troubled churches, and my kids paid the price for their father’s sacrifice. 3. The Church of the Nazarene has turned into a right-wing Republican band of followers. I wonder if the Church of the Nazarene will pull their General Assembly out of Indianapolis after the signing of the Religious Discrimination Bill that allows people to discriminate against others? 4. Lack of ethics on the part of denominational leadership. Just look at the firing of the chaplain at Mid America for speaking out about peace. Look at the firing of the biology professor for speaking of creation and evolution as working together. And one can only look at the Nazarene Publishing House scandal. It’s surprising there are not some general superintendents in jail after the mismanagement of that whole situation. I’m now pastoring in another denomination where I am faithfully serving the Lord. I will never go back to the Nazarene denomination. This is an awesome story! Very encouraging. I guess anyone and everyone in ministry will face difficulties, challenges, heart aches, disappointments, etc. And this often drives people to quit, complain, or become bitter. Your story, however, reveals there is hope and light at the end of the tunnel and ultimately that pushing through brings God honor and glory and truly advances the church. In looking back over the years and thinking of what I had to go trough I am thankful that I pushed through and completed what was needed to be ordained. I have no “Nazarene roots” but have still had the privilege of meeting new people, learning the process and polity, and ultimately being assertive through it all. Christ taught us many principles that pertain to the calling and ministry two of which are simply this: faithfulness and fruitfulness. This takes hard work! May we all be faithful and fruitful wherever he has planted us! Thank you for sharing. I started to realize that it was time for me to leave the CoTN when the older generation, 75 and above started judging my wife and I for our age (we are both under 30), and questioning our leadership because of our “rock music.” A few years ago, we were hired at a nazzy church right out of school to help lead them in a *major* transitional period into a younger, “more relevant” movement to help our age group. Both my wife and myself have Nazarene parents who are full time ministers at their respective church’s so we knew the task ahead of us! Many of you being pastor’s can remember the feeling of being fresh out of college ready to conquer anything! At first, attendance was booming! People that hadn’t been coming to church were coming, our pastor was preaching the lights out, and every seat was full! It was standing room only. The district seemed to be taking a lot of the credit, but we didn’t care; we wanted to worship and help lead people to the kingdom! About a year went by and our attendance plummeted almost 50%. We found that our associate minister had started a mutiny of sorts to have my wife and I fired. For months we went Sunday to Sunday doing our jobs in the name of Jesus hoping that we wouldn’t come into church and have to head back to the car because we were fired. The district overseers were then nowhere to be found. To make a long story short: we received hourly hate email’s (not an exaggeration) from congregation members, staff, and board members, which in-turn made us leave that church. From there, we dropped our nazarene credentialing and starting touring with an AG/Pentecostal worship band. I can name about a dozen more stories like this from people that I graduated with just a few years ago…some being far worse than my story. I commend you for sticking it out with the CoTN. It was hard for me to find the guts to say goodbye. 1. The generational gap. The numbers are staggering to see how many people in the 20 to 30-year-old range are no longer going to church. The nazarene church, especially in the midwest does not seem to be making strides in fixing this problem. Talk is cheap, therefore, no amount of meetings or general sessions will make the church save souls (we all know that). It’s the going and making disciples that gets people into church and searching for our Great God. Judah Smith, pastor of The City Church in Seattle points our that we are to be sowers not saviors. That being said, are we doing that or are we more concerned with our number and the offering from that week that we have to report to our district with? 2. Most church’s, not only the nazarene church, have forgotten the idea of intercession. Yeah, I know, touring with AG and pentecostal people will change you…but so what?! I’m guilty of this folks: 3 songs, prayer, offering, the special song sung by a track, sermon, response, lunch time-type of service. The Spirit says, “Wait!!! You forgot about me!” My mother called the Nazarene church she grew up in the holy roller church. What happened to that? I understand that every denomination has problems. I also understand that I am young and some will read this as if I’m a naïve little boy because of my age. But let me just say there is a generation that is searching for a church that is allowing God to intercede on Sunday through Saturday. I had one nazarene pastor say to me: “Son, you can’t expect to have the church camp feeling every Sunday.” I said, “WHY NOT? !” My God is that powerful and I come to church expecting Him to intercede into my life! So yes, I can expect that feeling, and I do expect it…everyday! Again, I commend you for sticking it out at your church and I wish you ALL the best. I’ll be praying for you and your ministry! The CotN is still stuck in the early 1900s, from an administration standpoint to spreading the good news. Although, they have moved on from the stone tablets. Thanks for your thoughts. In regards to many of the comments being made, I have seen many of these same kinds of issues and still do, some of which make me very frustrated and angry. My experience is somewhat different though, and I would like to make a single point. My wife and I were lifelong Salvation Army, she is a fourth generation pastor’s kid (the SA calls them Officers). We met in the SA, were married there, and called into the ministry there. We are now both ordained Elders in the Church of the Nazarene. We minister specifically as bivocationals in small churches that need revitalization and have done so for about 25 years now. Specific circumstances aside, the reason we are where we are is that God called us, not OUT of the Salvation Army…although He closed some doors there…but rather He called us INTO the Church of the Nazarene. I have no problem with people who follow the call of God somewhere else than where they started, but I think there is a danger point when people leave due to circumstances but have little or no sense that God is calling them into a different scenario. The difference is subtle, but important. Again, thanks for your thoughts! I’m troubled by the tone of many responses here which follow the trajectory of the original post to judge those who leave the Church of the Nazarene as quitters or somehow less than faithful. We cannot know the motivations and inspirations of others so why don’t we just accept each others journeys, realize that Christ’s church is bigger than any one tradition and just be excited that we are brothers and sisters in Christ.